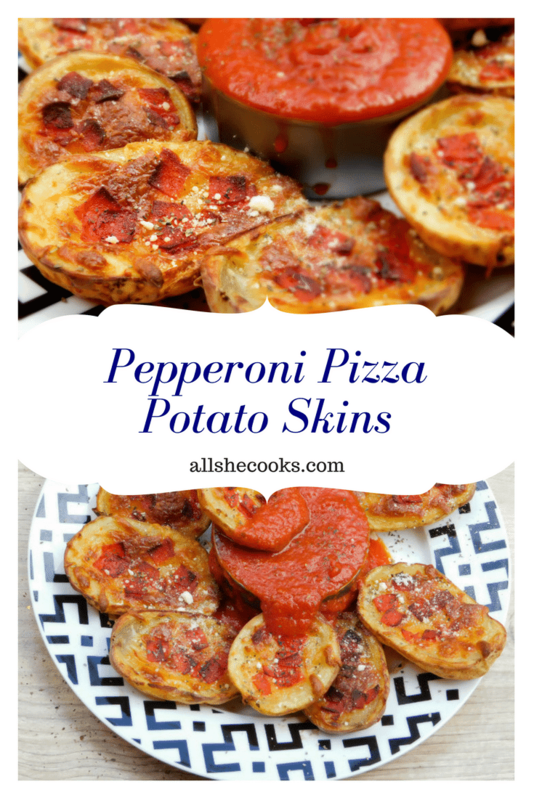 Pepperoni Pizza Potato Skins are amazing! 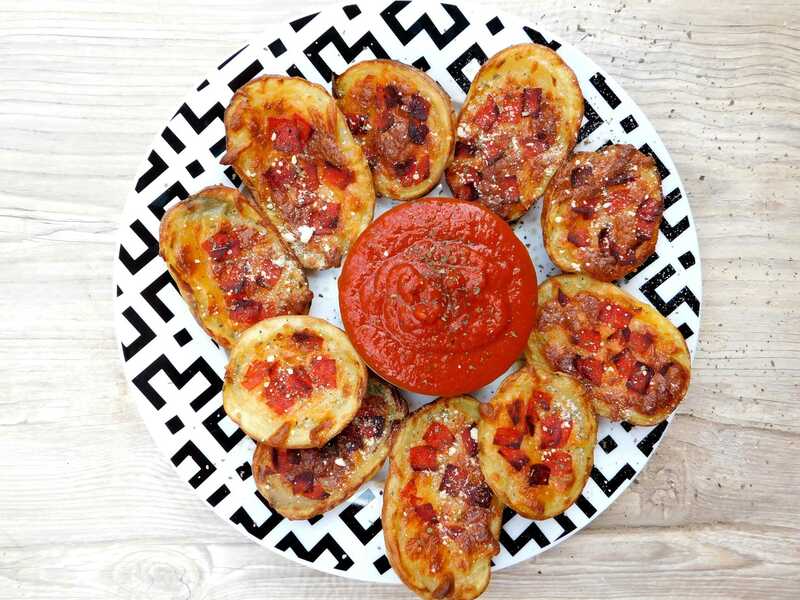 Potato skins as an appetizer or party food are a natural fit. Superbowl party? I bet there’s potato skins. New years party? Can you pass me those potato skins, please? Wherever there’s a party there’s usually some potato skins nearby. 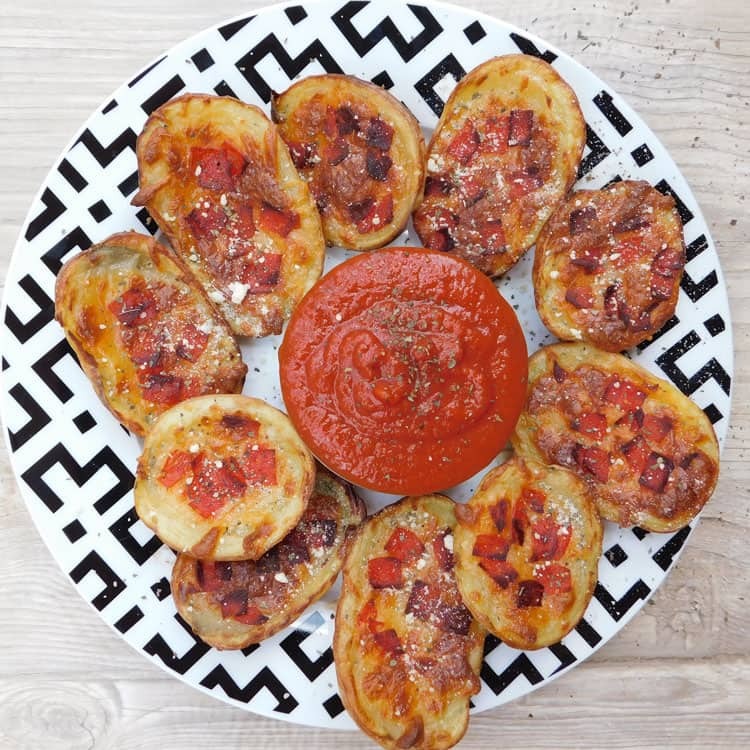 Potato skins are one of my favorite appetizers because 1. there are just SO delicious and 2. so easy to make! The typical cheese, bacon and sour cream combo is hard to beat, but I think I’ve topped the flavor charts by combining potato skins with another party classic, pizza. Yep! 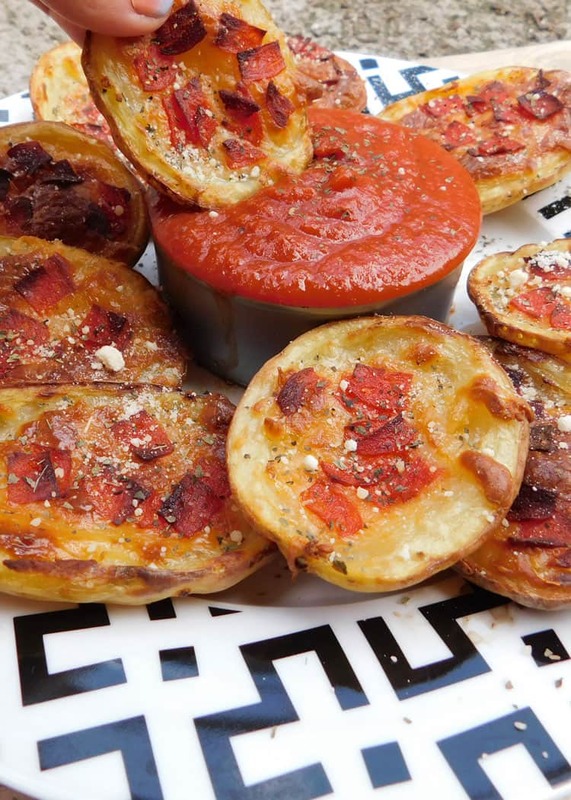 Pizza potato skins! And yes, they are as awesome as they sound. Don’t let their delicious seasoning fool you. They are actually very simple to make despite their irresistible flavor. To make the recipe go even quicker I like to start by microwaving the potatoes first. Poke some holes in them and microwave for about 5 minutes (depending on size) or until they are soft enough to stick a fork in them. Then while they’re still warm cut them in half and scrape out the insides leaving about a quarter inch edge. I like to use a hand towel during this step so I don’t burn my hands as much and can still scrape out the potatoes while their hot. Next comes the fun part, toppings! 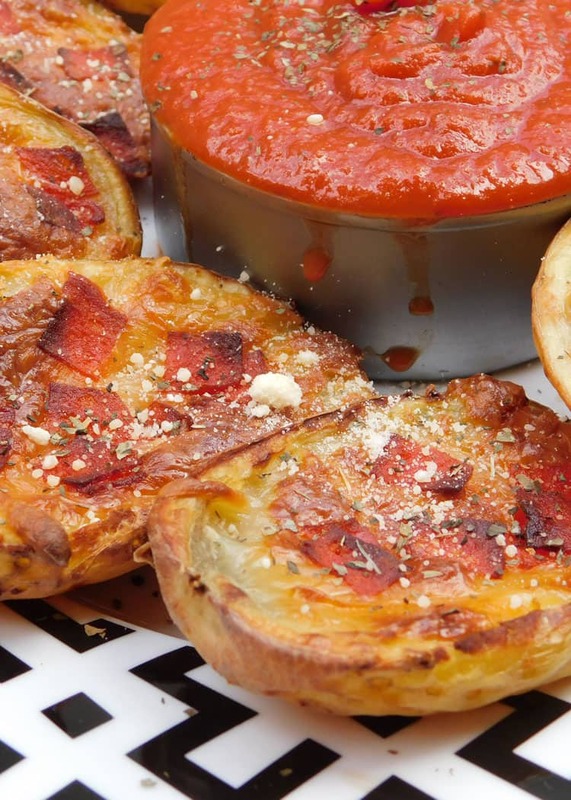 For these pizza potato skins I used mozzarella and pepperoni but get creative and spice it up. If you love Hawaiian pizza add some pineapple and Canadian bacon. Whether pineapple belongs on pizza, the debate is still up in the air. 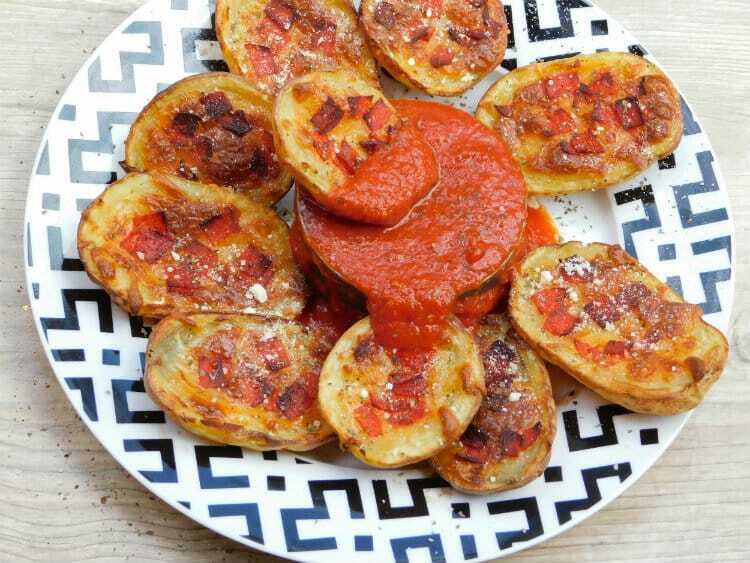 Does it belong on pizza potato skins? Absolutely! Add some veggies if you’re feeling it or top with tomatoes for a margarita pizza flavor. 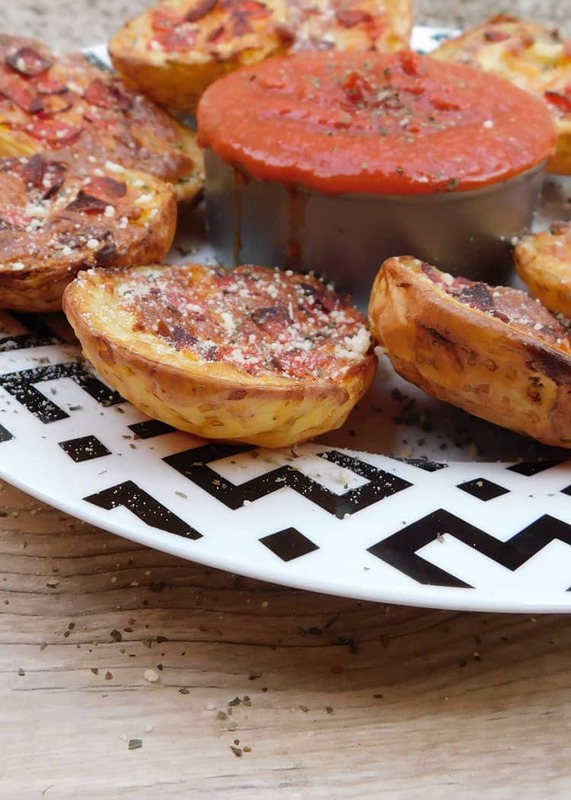 Once your toppings are good to go, place the potato skins on a lined baking sheet and bake until golden around the edges. Dip these babies in marinara sauce for an extra yummy appetizer. Poke potatoes with fork on all sides and microwave until soft. 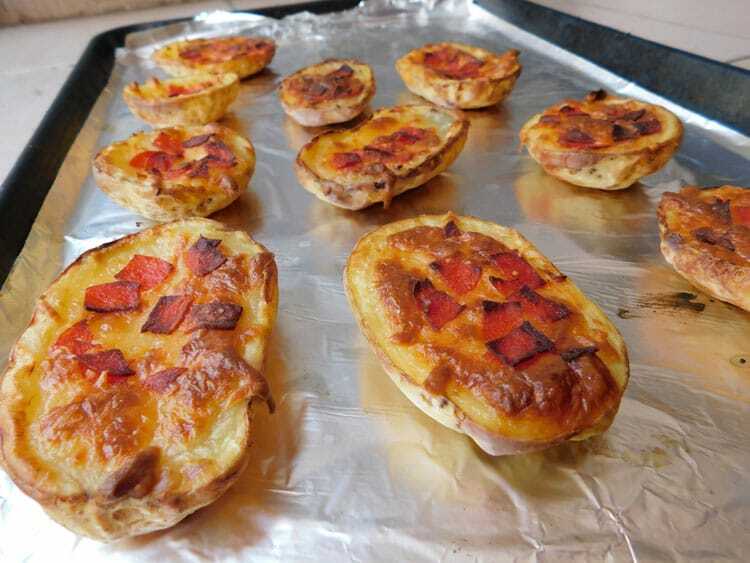 Bake potato skins at 400 degrees for about 20 minutes or until cheese is melted and edges are golden. Serve with marinara sauce for dipping.